Who said meals can’t be both tasty and healthy? 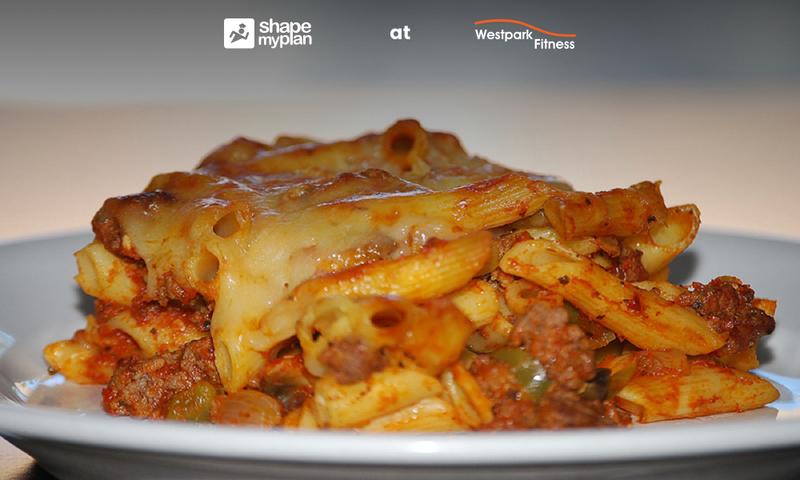 This vegetable pasta bake recipe from Shape My Plan gives you the best of both worlds. A great and filling option for dinner, you could also separate it into portions for lunch too! Pre-heat the oven to 200°C or 180°C if you are using a fan oven. Dice up the mushrooms, pepper and onion and crush the two cloves of garlic. Heat the vegetable oil in the frying pan and once it is heated up, fry the mushrooms, pepper, onion and garlic together for five minutes. Next, add the tin of tomatoes, the tomato puree, the mixed herbs and if you would like (to taste), you can also add a little black pepper. Reduce the heat slightly and then allow this mixture to simmer for twenty minutes. Follow the instructions on the packaging to cook the wholemeal pasta. After it is cooked and you drain the water, add the vegetable mix to the pasta. Stir this together and cook it gently for two to three minutes. Put this pasta and vegetable mix into a casserole dish and then cover it with the cheese sauce. Sprinkle the grated breadcrumbs over the top and you can also sprinkle over some grated cheese if you wish. Bake this in the pre-heated oven for ten to fifteen minutes – then serve and enjoy! Thank you once again to Shape My Plan for another great recipe idea. An extremely useful recipe, information and nutrition tracking app, Shape My Plan is available to Westpark Fitness Members for only €4 per month (usually €12 per month)! Book a free tour of our premier fitness facility here.